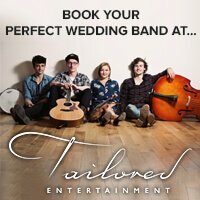 Top UK Wedding Bands - The Best Bands for Weddings! Welcome to UK wedding bands listings (Top UK Wedding Bands) - Below you will find a selection of the best function bands & wedding bands around the UK. Each wedding band has submitted their details to our directory and based on the quality of their demos and references and other material we have included them in the listings. Next to each band logo you’ll find a short description and a link to their website from which you can directly contact the band. If you book one of the bands below please let us know your experience of them. Our aim is to maintain a small directory of fantastic, diverse, presentable & reliable wedding and function bands for hire. Live bands currently available to hire listed here are available in Oxfordshire, London, Gloucestershire, Bristol, Berkshire, Surrey, Essex, Hampshire, Devon, Kent and many other counties around the UK. Contact the best wedding bands directly and save excessive agent fees. Use that extra cash on your honeymoon. You deserve it. Good luck!!! Get your party jumping! If you have something more exciting in mind for your special day than a tired old wedding band, then the WooHoo Band is for you. We play a variety of styles – pop, rock, soul, funk, motown, and ceilidh – in a high energy mix that will keep you on the dance floor all night long. With the WooHoo Band, you can come and see a live showcase instead of relying on a demo CD to make your decision. You’ll also have a dedicated contact from the band to help you plan all the musical aspects of your big day. It’s like having your very own music consultant! When it comes to creating an unforgettable night, you can’t go past the WooHoo Band. from: £1500 views: 5,367 coverage: Nationwide and Europe. Based in Scotland. 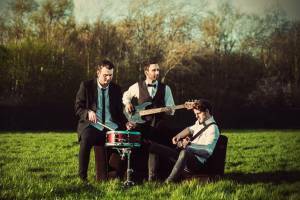 The Radio Kings are a premium 3-14 piece band specialising in good-time music! 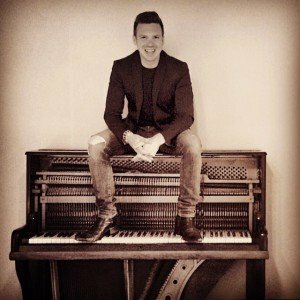 We pride ourselves on providing a wide range of musical styles, and can cover everything from the ceremony, to cocktails, canapes, and the best live party music to start your married life on a high. 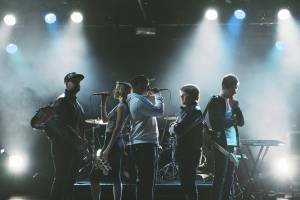 We’ve worked alongside the likes of George Michael, Gotye, The Shires, and in a number of popular stage and touring shows. Our professional experience ensures the calibre of music that keeps everyone on their feet. Before making any decisions, come and see the band live at a regular showcase event – no hiding behind re-takes and overdubs! Showcases are held across the North; in Manchester, Leeds, Newcastle, and Liverpool. Receive personalised service directly from a member of the band, from the time you enquire right through until you farewell your guests on your wedding night. from: £1500 views: 7,266 coverage: Nationwide and Europe. Based in North of England and North Wales. The Thumping Tommys have long been one of the most entertaining Folk, Bluegrass and Country bands in the UK, playing a wide range of music from Irish, Celidh, Rock n Roll, Pop, Americana and beyond. 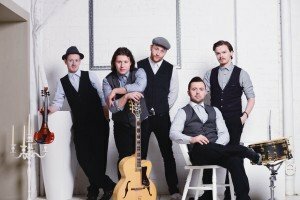 Having toured extensively around Europe, as well as performing at many of the countries top Folk clubs, the Thumping Tommys guarantee to have your audience dancing on your special day! They can perform as either a trio, quartet or quintet depending on the occasion. This festival style band is all you need to take your reception, ceremony or barn dance to the next level. See for yourself and catch them live every week in Central London! 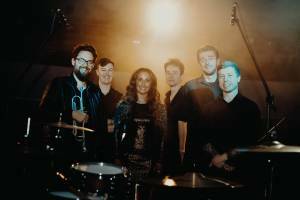 The Talking Bird Collective is a party band with a difference! Bringing together some of the UK’s finest musicians to provide a fully live experience like no other! Pop, Rock, Soul, Funk, Indie, Blues, Jazz, Rock n Roll and even Ska are all genres we are able to perform, guaranteeing that every guest is partying from start to finish! from: £1500 views: 12,049 coverage: Nationwide and Europe. Based in South of England and South Wales. Are you looking for an exciting act, full of energy and playing no-stop floor fillers from start to finish? Of course you are! 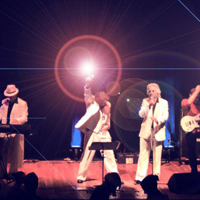 Strobe are that very band, playing all the hits from 60’s to current chart whoppers, something for everyone and always put on a show. Additional extras including horns, and an actual DJ or just sit back (we mean dance hard), and let our FREE playlist send you into a world of ‘crazy shape throwing’ on your big day. We would love to hear from you! Established in 1978, Garston Entertainments has 37 years experience and knowledge which helps couples hire the perfect Live Wedding Entertainment for their Wedding Day. Choose from hundreds of viewed and approved Live Wedding Bands (including `Exclusive to Garston` artistes) on our website where you can listen to Song Clips, Watch Video Clips and Read Reviews. Alternatively, speak to one of our friendly and experienced Entertainment Co-ordinators who will be happy to help, offer expert advice and make recommendations. With a simple and easy booking process, low deposit rate and flexible payment terms, our aim is to make choosing the perfect Wedding Entertainment a smooth, fun and enjoyable process. 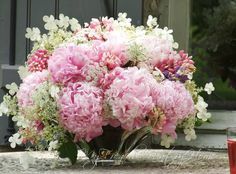 Click on our weddings page for Ideas and Inspiration! 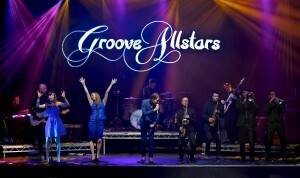 Soul Factor are a classy 4 to 8 piece soul, funk and Motown wedding and event band. With a diverse mix of new and old tracks you will be dancing all night and getting your groove on. 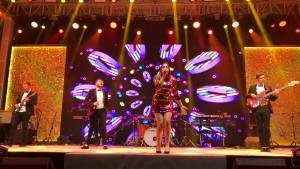 With outstanding male and female vocals, Soul Factor offers the versatility of being able to perform the full spectrum of the soul, funk and pop music genres in a variety of different band formats. Looking for a soul wedding band? Look no further. 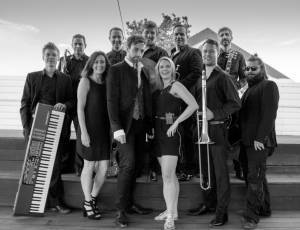 Embassy are a charismatic wedding and event band who know how to get your party started! Embassy delivers pop, rock, funk and soul classics from down the ages guaranteed to keep your dance floor full all night long! 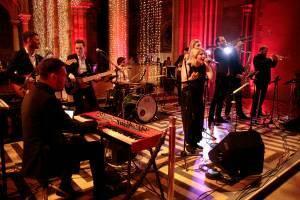 Available from a 5 to 9 piece band, Embassy can tailor their sets and line up to suite any event size and budget. 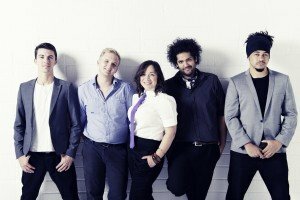 As a band Embassy have performed at some of the most lavish weddings and events around the UK and internationally for 10 years now. 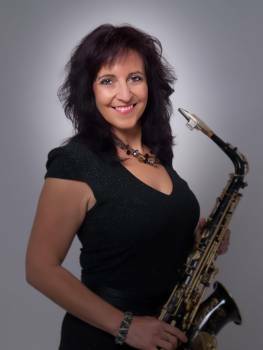 The band consists of some of London’s finest musicians, they are very experienced, highly professional and committed to making your special night one to remember. No matter what different age groups or musical tastes you might have at your event you can count on Embassy to deliver an exceptional performance which includes something for everyone. Whether you love Prince, Stevie Wonder or Basement Jaxx or you’re more of a Beatles and Stones lover, Embassy can tailor their sets and line up to suite any client’s specifications. 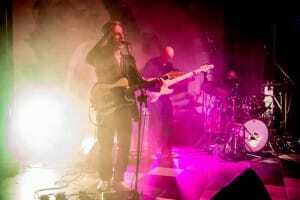 At the heart of every Earcandy act is a simple philosophy. Life isn’t about facts and figures. It’s about feelings. The moments that shape who we are, moments that bring us together. These moments are what we live for. That’s why our musical team buck the trend and develop our acts from scratch. They are a manifestation of our passion and collective experience in the record industry; each one designed to leave you and your guests speechless. The result? Acts that redefine what ‘function entertainment’ should be. Experience Earcandy entertainment and you’ll see what the fuss is about. 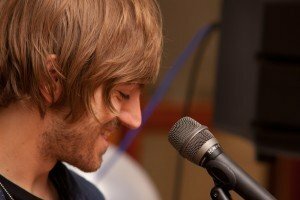 Sheldon is a singing guitarist and DJ based in Hertfordshire. 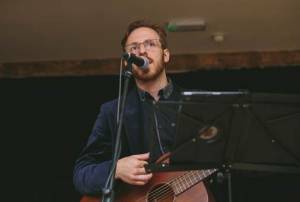 His soulful voice, intricate guitar work are the perfect combination to create a wonderful acoustic atmosphere at your wedding. For those looking for a blend of acoustic music and a party, Sheldon’s years of DJing gives you the best of both worlds. He can keep your guests on the dance floor all night long with his bespoke DJ sets. 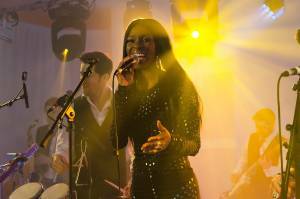 Sheldon has performed all over the UK at some of the most prestigious hotels and venues. And over recent years has ventured across Europe including countries like France, Switzerland, Portugal, Cyprus, Spain and many others. Sheldon will work with you to make sure you get the perfect music and entertainment for your special day. The Trollies are an award-winning four piece covers band performing classic & contemporary rock/pop music. Whether it be the sounds of the 50’s and 60’s, classic funk/rock from the 70’s and 80’s, Britpop and Indie from the 90’s and 00’s or contemporary pop music up to present day – The Trollies will set the mood and inject the soul into your wedding, party or corporate event. Vibetown are an award winning outfit that perform a mixture of tunes both old and new from James Brown, Stevie Wonder, Bon Jovi & Michael Jackson to Daft Punk, The Killers, Katy Perry and Bruno Mars… We try to keep the material as broad as possible so that everyone is dancing all night long! With Vibetown (Winners of Best Band @ The 2015 & 2016 Wedding Industry Awards) you are not just hiring a party band, but the party itself! High energy performance and a professional, slick production guarantees a night you and your guests will be talking about for years to come! 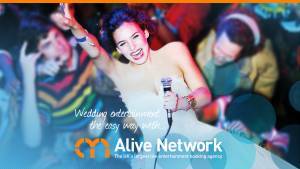 With over 5,000 artists and entertainers, 27,000 customer reviews, over 15 years of experience providing the best entertainment in the UK, and a passion for nurturing talent, Alive Network are the most loved wedding and party entertainment agency in the UK. 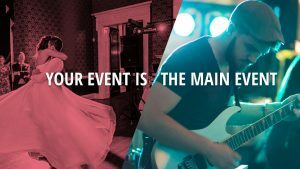 Booking the perfect entertainment for your event is simple. – Visit our bespoke, easy-to-use online booking service visit AliveNetwork.com – Enter your event details – Browse and pick your entertainment – One of our friendly agents will be in touch to finalise the booking contracts and answer any questions – You’ll then hear from your entertainment 2 weeks before your event – Then on your event date, get ready to enjoy some of the best entertainment the UK has to offer! The fantastic lead vocals of Paul make this the ultimate tribute to Rod Stewart in the UK and beyond! 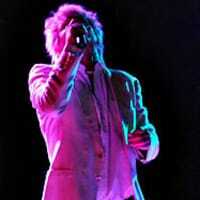 The voice, the look, the charisma – The Rod Stewart Tribute Act has it all! Whether it’s solo or with his amazing five-piece live band, Paul’s Rod Stewart Tribute Show is a superbly authentic and entertaining tribute to a truly great singer and performer. Formed back in 2001 this outfit have toured their show globally to outstanding critical acclaim. 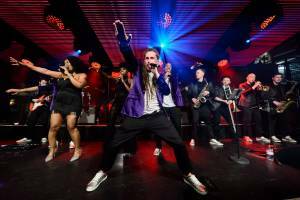 The band have performed for varying audiences of different sizes from 100 people, to an audience of just over 12,000 at a music festival. We have worked with stars like Heat Wave, and The Rubettes. Perfect for birthday parties, weddings and private functions! A truly brilliant Elvis impersonator! 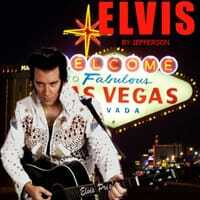 Based in Hampshire UK, Jefferson can be booked worldwide, singing all music from across Elvis’ career. Performing all of the greatest Elvis hits from the early hip swiveling Rock ‘n’ Roll through to the timeless classics in Vegas, he makes his Tribute to Elvis a one of a kind show not to be missed. His passion for music is inspired by the King himself, this tribute truly captures the essence and illusion of the Elvis Experience. 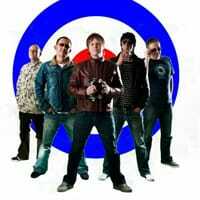 A tribute to the Britpop movement of Oasis, Blur, Pulp, Stereophonics etc. The Morning Glories are a five-piece, 100% live band, based in North Wales, and have many years of experience playing at venues all across the UK. 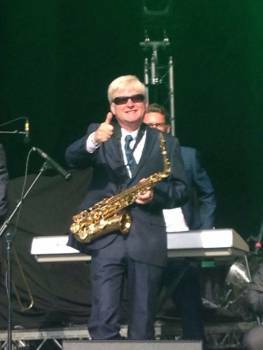 Steve is a highly experienced solo saxophonist with a career spanning international recording and touring. Steve has a huge repertoire of songs that include something for every setting and event. 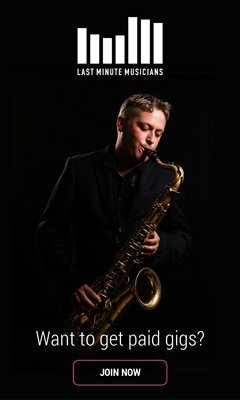 He can provide the authentic sound of saxophone hits, creating the perfect atmosphere, whatever the event. Steve played the original sax solos on hits that are played worldwide, for example, Culture Club’s ‘Time, Clock of the Heart’, and ‘It’s a Miracle’ (amongst others). He can also be heard on albums by the The Beach Boys, Deniece Williams, and Jimmy Witherspoon. 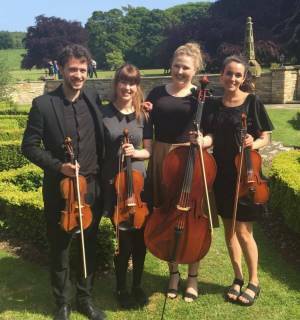 The Woodfern Quartet is a collective of young string players based in Glasgow, available to perform at a wide range of events including weddings, private parties, graduation balls, anniversaries, corporate functions and even proposals! With a repertoire varying from classical to pop, we are also happy to arrange new music, catering to all musical tastes. Whether you need background music at your party or music to walk down the aisle to, The Woodfern Quartet will make your event special. 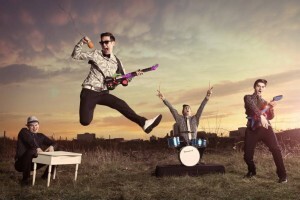 The FTF Band have a firm reputation as one of the best party bands in the UK since they began performing together in May 2005. Consistently packing dance floors at every event they play, this live 4-piece will provide an unforgettable show for your guests. 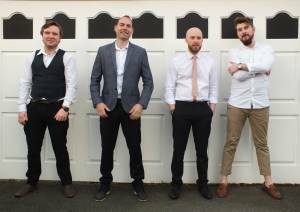 There are no gimmicks, no backing tracks, just pure live energy from four suited and booted guys who are all highly talented musicians and experienced performers. They perform chart music from the 60’s to the present and have a full 5kW sound system, full lighting rig with motorised units and effects, meaning that they can cater for most functions and venues. Aside from their onstage skills they pride themselves on their professionalism and will do their best to make sure that all will run smoothly from the time of booking through to the event itself. Monika Ramstein on vocals, Steve Ashworth on keyboard and Michael Searl on bass, make up this fantastic, versatile trio. 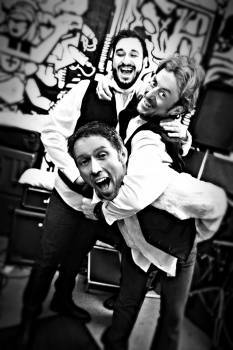 Having performed at some of London’s top music venues, such as Ronnie Scotts, Hideaway and Jazz after Dark, and performing at countless parties and functions, this trio will make any event a special occasion. Whether you require soothing background jazz/soul or upbeat funky tunes to boogie the night away, this trio will deliver an unforgettable experience, they can also provide a duo/quartet or quintet. This super talented trio specialize in providing laid back jazz/soul for the first part of your event, whilst the guests mingle, chat and have drinks, then the second half, getting the crowd on their feet to dance the night away. With a varied repertoire there is something for everyone and they are always happy to cater for special requests. 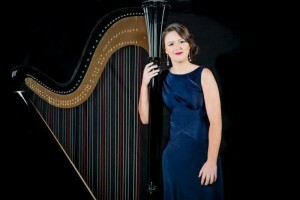 Rhianwen is a freelance Welsh Harpist currently studying under a scholarship at the Royal college of Music in London. She has experience in playing in many weddings and other events across the U.K in hotels such as St. Ermine’s Hotel- Westminster, The Ritz, The Royal Over-Seas League House and 1 Mayfair just to name a few. Rhianwen has played several times with world renowned harpist Catrin Finch and celebrities such as Charlotte Church, Stella McCartney and the Mayor of London. 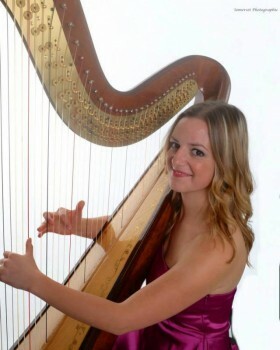 Jessica is a very accomplished harpist and plays for weddings and events, solo concerts and with orchestras. She has grade 8 distinction and attained a BMus degree at Cardiff University. She provides individual lessons on folk and concert harp and in groups on lap harps. Based in Somerset but also covers Dorset, East Devon, Bath and Bristol. from: £240 views: 2,023 coverage: Somerset, Dorset, East Devon, Bath and Bristol. Full DJ Disco’s are for those who want to have a care free evening and let us do the hard work of figuring out how to keep the dance floor packed with the best tunes. We’ll deliver, install, play & pack up for you. 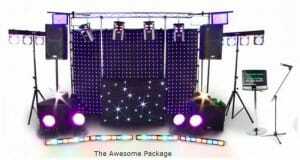 All Full DJ Disco’s include 4 consecutive hours DJing at any time. 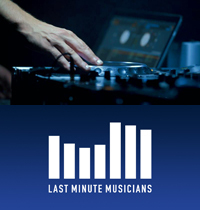 If you want your DJ to play for longer, simply take a look at our DJ only option at the bottom of the facing page to see exactly how much it’ll cost. Hire the UK’s top wedding band anywhere in the UK and even abroad. With hundreds of performances under their belts and countless happy couples there is no surprise that this all star line up forms one of the busiest function bands in the UK. When booking the band you are guaranteed complete satisfaction in customer service, musicianship, presentation, song diversity and unbeatable entertainment. Early booking recommended for 2014 and 2015. Please add a listing or become a sponsor.